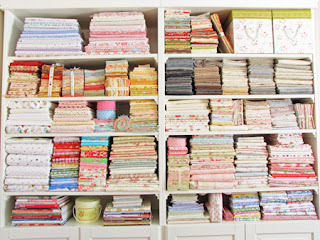 Homespun Stitchworks..... For the love of vintage: Searching for just the right piece of vintage fabric! Searching for just the right piece of vintage fabric! Hello and good morning to all. 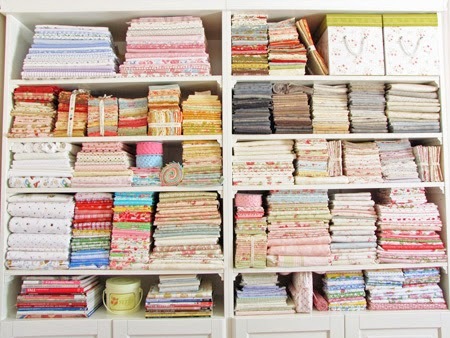 'Fabricologist resource centre' ..... well that sounds better than fabric stash! and have I been through it all!! Hmmmm, well I have been searching and searching for a piece of vintage fabric that I thought I had, could I find it.... NO is the polite answer. Well not for ages anyway. It is found now but was put away where it really should not have been. I can not think that I would have done it, but as I am the only one who goes in my work room, it must have been me. I am really busy and love to just design, go to get the fabrics and buttons etc. that is needed and quite simply stitch...... Still I had a good look through my fabricolgist resource centre today but I am afraid with not so much enjoyment as normal..... Its so annoying when you can not find things isn't it?